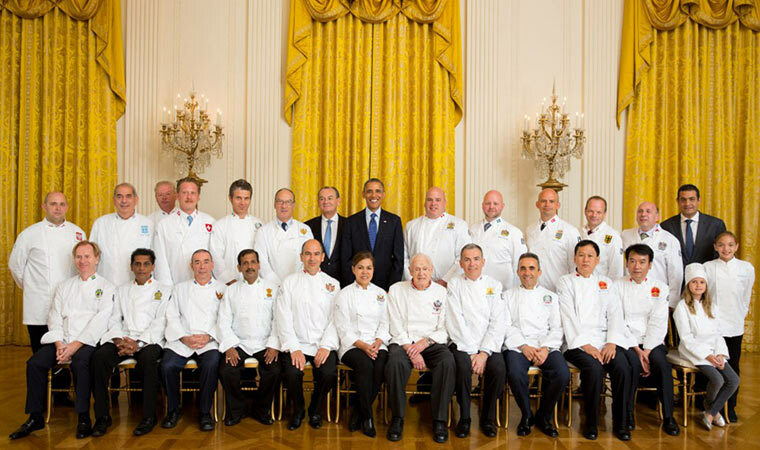 Chefs of world leaders are all set to get together in India this year. Not on the menu: a recipe for world peace! Realpolitik, diplomacy and the future of countries, all in the hands of those who lead by divine right or through victory at the ballot. When they sit down to eat, the success of the meal rests with the chefs of the host country. The planning, the seating, the rush, the frenzy and all the madness in the kitchen translates to letting the hair down for these movers and shakers on the world stage. Culinary diplomacy comes into play. The stars of the show, the chefs who agonise over the produce, the ingredients, the cut, the heat, the timing, the presentation—are often not recognised faces. It is to pay tribute to them that Club des Chefs des Chefs (CCC)—the exclusive gastronomic society was formed. This month, India plays host to this exclusive club for the first time in its four-decade history. The charity dinner on 25th of this month will have 200 seats reserved at the Imperial Hotel in Delhi. “The money thus raised will be donated for social uplift; the beneficiary for this year will be decided in the days to come. Last time, it was for the children of Haiti,” added Bragard. 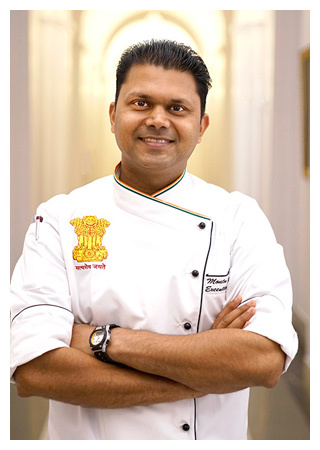 For Montu Saini, executive chef to the President of India, “It is a matter of pride for the country to host the culinary ambassadors across the globe.” Michelin-starred chefs are respected and are the best at what they do. But a chef is known for the turnover he generates at a commercial establishment. 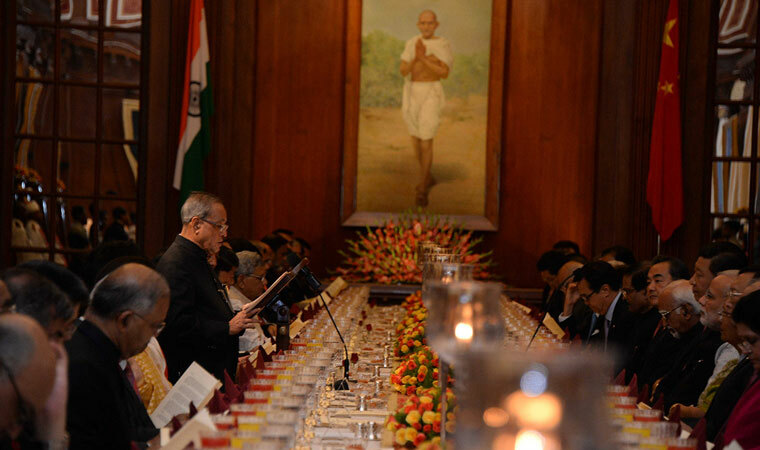 “Here a chef is responsible for the image of the country. One mistake and it is the country that gets a bad name,” says a proud Saini. The idea of a club of chefs was born back in 1977 when Gilles Bragard figured that it is these stars in the kitchen who make a red carpet affair a success. Rigid protocol and self-conscious diplomacy can loosen its tight cinch over an evening of gourmet food and superlative wine. The best compliment a chef gets is when a guest groans, but would like that one bite more. So was born the idea—a red carpet for these stars who toil behind the scenes while the leaders of the world plan their moves in chess-like wordplay. There is no six sigma in place here because there is zero tolerance for error. A slip can have disastrous consequences. A menu is printed and put at each cover so that a guest knows the next course being served. But when the occasional error occurs, it is the quick thinking of the executive chef that saves the day. “At one banquet the server carrying the tray of desserts tripped and with him went flying the gulab ki kheer he was carrying,” says Saini. “At that stage there are only moments to salvage the situation. Can you imagine how nerve-wracking that is?” Saini, however, is able to smile in retrospect as he recounts the story. Nerves of steel and a calm temperament are the key here to quickly make something similar to what is printed on the menu card. Culinary diplomacy sounds good. But a chef is hard put to actually recount when a deal was swung favourably for a country after a grand and flawless banquet. “We can only make sure they relax and have an enjoyable meal,” says Saini. Food preferences of world leaders are a closely guarded secret. And for an amusing reason. When then French President Jacques Chrirac’s favourite dish was disclosed, he was served the same dish at every official banquet around the world until it became not-so-favourite any more! “They would like to sample the local cuisine of a country and not what they can get at home,” says Saini. An admission of George Bush’s aversion to broccoli saw the sales of that vegetable dip considerably, adding to the wall of silence of the food idiosyncrasies of kings and presidents. President Obama is known to steer away from beetroot and President Hollande from artichokes. It is a challenge, though, to keep track of each head of state’s preferences and allergies. “Health comes first and we don’t want anyone breaking out in rashes,” says Saini. But this can go to extremes and sometimes can seem straight out of a medieval potentate’s diktat. Putin, for instance, is said to continue the old tradition of having the food tasted for poison before he tucks in himself. Anton Mosimann, a regular cook for the British royal family, recalled in an interview some years ago that a visit by a former US president resulted in him being “constantly followed around by two FBI guys who wanted to taste absolutely everything I was proposing to cook.” Duchess of Cambridge, the wife of Prince William, is on occasion not shy about asking a Swiss chef to lighten one of his sauces.